The Samsung Galaxy S10e is a stunning handset that has been designed to be the baby of the group with slightly less feature set which comes with a lower price tag as the payoff. When it comes to design, there is a definite Galaxy S series look that we have come to know and love. With just the finest of bezels around the outside, this is another all screen handset, and it looks good. 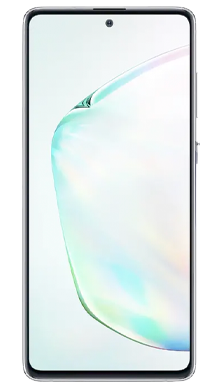 There is Corning Gorilla Glass 5 to protect the phone, and the display is bright and clear. The phone is a mixture of glass and aluminium, and as soon as you pick it up, it feels like a high-end phone. It is the perfect size for sitting nicely in one hand and can comfortably be used with one hand. On the rear of the handset, you will find the back coloured to match the phone, and there are a few colour choices on offer as Samsung often likes to provide. 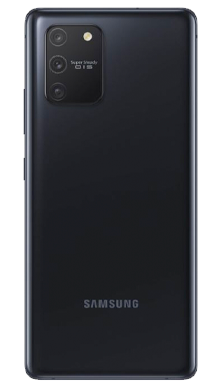 The camera arrangement has been tidied up on all of the S10 offerings and the dual camera and LED flash sitting in a line across the top with the Samsung logo underneath. 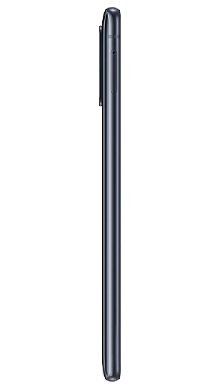 On the front, the selfie camera sits in the smallest of spaces with the new punch-hole style on the top right-hand corner meaning there is no need for a teardrop or notch to spoil the Super AMOLED screen. Being the smaller of the three, this handset comes in at 5.8 inches and is a lovely 1080x2280 resolution with a 522PPI and an aspect ratio of 19:9 and HDR10 display. All of this makes for a stunning image display, and you will enjoy streaming movies or playing games on this handset. 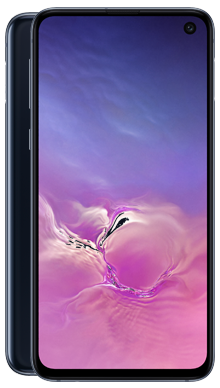 It has certainly been well designed and comes with a dust/waterproof rating of IP68 to make sure it is robust enough to stand up to daily life. Samsung audio is always good, and this is no exception with the stereo speakers coping well with the sound when using loudspeakers or streaming music. There is the including of the 3.5mm headphone jack as a nod to those users who love their wired cans and really do not want to give them up. As already mentioned this is a dual camera handset and there are two lenses on the back, a 12 MP, f/1.5-2.4, 26mm (wide), 1/2.55", 1.4µm, Dual Pixel PDAF, OIS and 16 MP, f/2.2, 12mm (ultrawide) which combine neatly with the onboard software to offer a super photo performance that you will love. On the front of the camera, there is a 10 MP, f/1.9, Dual Pixel PDAF, Dual video call, Auto-HDR lens that is perfect for selfies. The rear camera can record in 2160p@60fps, 1080p@240fps, 720p@960fps, HDR, and the front camera in 2160p@30fps, 1080p@30fps. So there is plenty of choice for capturing your life in film or stills. Under the hood, there is the expected hardware that matches the rest of the series so Octa-core with Exynos 9820/Snapdragon 855. This is a nice powerful combination that means the handset is more than capable of running multiple processes and not losing speed at crucial times. 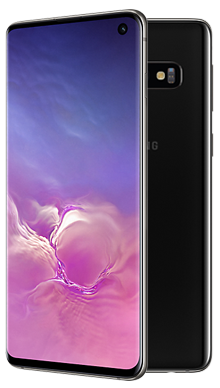 Being an Android phone it was also expected that the Samsung Galaxy S10e would have Android 9 Pie installed and there is the traditional Samsung skin over the top. The fingerprint scanner is on the side which is different but works well. The headset has a 3100mAh battery which is a nice size for a phone at this level. It features wireless charging which is a favourite of Samsung and something they are more generous with than some of their competitors. The storage becomes in at 128GB with 6GB RAM, and this can be extended further by using the MicroSD slot to add up to 512GB. The handset comes in three colours, black, white and green and is perfect as a slightly lower spec handset as really the features are still packed in and very evident.